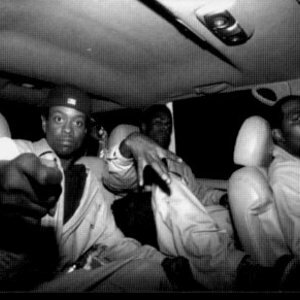 3X Krazy was formed in 1994 and were signed to Str8 Game Records. Prior to the formation of 3X Krazy, Agerman and Keak da Sneak were a duo known as Dual Committee. As Dual Committee they received their first record deal with AWOL Records. Although an album was never released on AWOL, Dual Committee appeared on two songs off of fellow label-mate C-Bo's second release, The Autopsy. After parting ways with AWOL, B.A. (then known as Bart AKA Mr Kamikaze) joined the group and 3X Krazy was formed. The group's debut EP Sick-O was released in 1995, and although not a commercial success, the group still managed to attract the attention of a major record label, Virgin Records who signed the group in 1996. 3X Krazy's only released for Virgin was 1997's Stackin' Chips, which would prove to be the groups most successful release, making it to 136 on the Billboard 200, 28 on the Top R&B/Hip-Hop Albums and 6 on the Top Heatseekers album charts. 3X Krazy would later release 1999's Immortalized and 2000's Real Talk 2000 before disbanding. In 2003, 3X Krazy released their fifth album Flowamatic-9, which featured remixed songs from Sick-O and previously unreleased songs. All three members have pursued solo careers, B.A. has released 4 albums, Agerman has released 9 albums featuring christian rap, while Keak da Sneak has released almost 20 albums and several mixtapes.